Deputy Prime Minister Vuong Dinh Hue has urged the Ministry of Planning and Investment (MPI) to quickly finalise the list of State-owned enterprises (SOEs) that needed to be divested. At a meeting on August 16 with the MPI, the Ministries of Finance and Justice, as well as the Government Steering Committee on Corporate Renovation and Development, Deputy PM Hue asked the MPI to submit the list of SOEs to be divested by 2020 to Prime Minister Nguyen Xuan Phuc for approval. He also assigned the Ministry of Finance to review and calculate the number of SOEs and State capital needed to be divested by 2020 and report it to the PM. 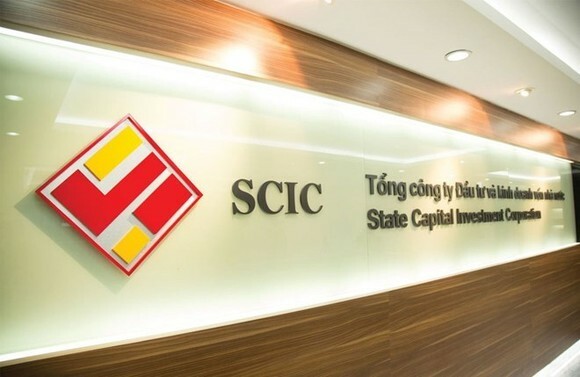 Hue said that the PM will issue a separate decision on equitisation and divestment of State capital at large SOEs such as Habeco, Sabeco, State Capital Investment Corporation (SCIC), Petro Vietnam, Electricity of Vietnam and Airports Corporation of Vietnam (ACV). But for the remaining SOEs, it is necessary to fully aggregate them in a list to make public to ease investors. According to the PM’s instruction, the MPI has begun asking for recommendations from relevant ministries, agencies and localities about the list since early this year and has so far finalised the draft. Hue agreed with the draft list which regulates the rate of divested capital each year (the minimum rate), but not fixing the rate and encouraging ministries and localities to increase the rate to speed up the divestment according to the market situation. "The list and the annual State capital divestment rate from now to 2020 is aimed at making a concrete assessment and binding heads of ministries and localities with their responsibilities. If they cannot do it, they must be accountable to the Government and the Prime Minister," Hue noted. According to MPI Deputy Minister Dang Huy Dong, a thorough list is necessary to help monitor and speed up the divestment at SOEs besides ensuring the collection from the State capital divestment to allocate the fund for medium-term investment projects. According to the MPI’s draft, the total number of SOEs (excluding enterprises belonging to the Ministry of National Defence, Ministry of Public Security, HCM City People’s Committee, SCIC and those divesting according to the PM’s separate decision) are 375 with total capital according to face value of more than 108.5 trillion VND (4.76 billion USD). Of the SOEs, 161 will be divested in 2017 and the number for the next three years is 185, 65 and 25, respectively. Total divestment capital according to face value from 2017 to 2020 is expected to be nearly 64.46 trillion VND. The draft also states that the divestment must be transparent, legal and according to the market mechanism.